Posted April 29th, 2018 by Mike Boyes & filed under Abnormal Psychology, Disorders of Childhood, Health Psychology, mental illness, Psychological Disorders, Stereotype Prejudice Discrimination. Description: Ok there are two levels of engagement possible with this linked article. The first is epidemiological. Epidemiology is the study of the rates of things (illnesses, disorders, conditions) within populations. From an epidemiological perspective, when the incidence or rate of a disorder in a population changes (increases or decreases) there are number of key questions that must be carefully considered and addressed with data. They include: Is the change real or just an artifact of how the disorder is measured or defined? If it seems to be real, what is contributing to the change? The second level of reflection and analysis follows this first one. IF the change does appear to be real and not due to something like a removal or reduction (or addition or increase) of social stigma which could be increasing then what does it suggest? If it is a real increase what conditions are driving the increase (or decrease) and what would be worth considering or doing in the way of public awareness or treatment, support and intervention? As you read through the article liked below to keep these two levels of analysis in mind and see if you develop an option as to which one the author of the article is leaning towards. 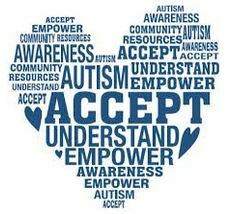 Source: Autism Prevalence Increases: 1 in 59 US Children, Susan Scutti, CNN. My reading of the linked article suggests to me a bit of uncertainty on the part of the author of the article about which level of analysis they are pushing but they seem to be leaning towards a “changes in definitions of the disorder” explanation except that the material on large changes moving prevalence within diverse racial groups closer to parity might suggest another focus. A VERY typical speculation which often arises in such discussions is that the incidence of the disorder IS on the rise and we need to figure out what water, dietary or social practices additive is driving the change before it is too late to stop it. Did the prevalence rate of Autism increase as the article suggests? What sorts of things might have contributed to the change in the observed rate of Autism? What steps should be followed as we decide what, if anything, should be done in response to this apparent increase in Autism incidence? Autism and Developmental Disabilities Monitoring Network Surveillance Year 2010 Principal Investigators. (2014). Prevalence of autism spectrum disorder among children aged 8 years—autism and developmental disabilities monitoring network, 11 sites, United States, 2010. Morbidity and Mortality Weekly Report: Surveillance Summaries, 63(2), 1-21.